One thing that’s gotten more popular the past 15 years or so is the emergence of personal home theaters. With those theaters has come projectors, theater seating, and of course, popcorn machines. I got into home theater back in 2003, building a dedicated home theater complete with home theater chairs and projector. Unfortunately at that time, I couldn’t afford a popcorn machine, spent most of my money just finishing the basement. In all the reviews I read, they all mentioned that those things were two of the biggest nice features to have. That narrowed down the field quite a bit. I also had to decide what size of a kettle to get, 4, 6, or 8 oz. It was pretty obvious from reading that the 8 oz was going to be way too much for home use unless you used smaller packs in it. That left 4 oz and 6 oz sizes. I went back and forth and finally decided on the 4 oz. Most people said that 4 oz made popcorn for 4 people, which seemed about right for my typical use case. Next was to figure out what manufacturer to buy from. 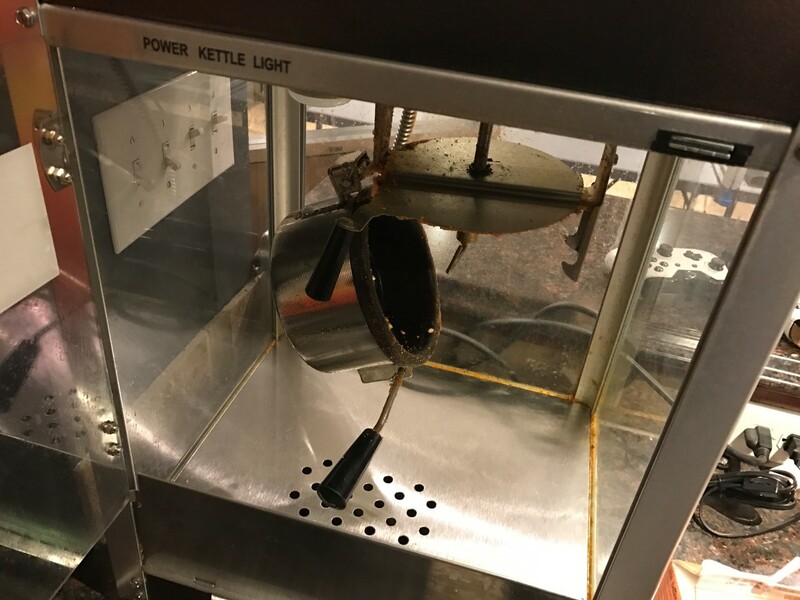 Back then, there was a company producing a fairly cheap machine at less than $200 I believe and then there were the Paragon Popcorn Machines that were slightly more expensive. Almost everyone said to go with the more expensive machine because it will last forever and parts are readily available should you need them. They were 100% correct, I would have totally regretted getting a cheaper model. I’ll probably have this machine for decades, so saving $100 on something like that doesn’t make a whole lot of sense. The Cineplex was a breeze to setup. Mainly just putting in the light bulb, removing all the packing material, and then it’s ready to use. It’s mostly already put together for you. What isn’t specified though is exactly how you make the popcorn. I thought that was an interesting omission, maybe they’ve corrected it by now. I had to go look up the ratios and everything before I could actually use it. What isn’t quite so easy is the mess it makes over time. Admittedly, I’m not a very good cleaner after I make it, and you don’t really have to be. But after a while, you get a lot of oil on the windows that you’ll have to really work at to get off. Just a note for those thinking about, you don’t really have be super clean about it, but eventually you’ll have to clean it good. The popcorn from the machine is fantastic, just like the theater. It definitely is a step up from microwave popcorn, a big hit at parties (especially for the smell it produces, everyone loves that smell). So unlike a normal review, I’ve had this machine for years. Due to that, I can attest to the build quality of it. I’ve never had one issue with it over these past years, even the light bulb is still going. Cleaning is the only drawback to the thing, if you’ve got the space and love popcorn, it’s hard to go wrong. I originally bought all the individual supplies separately but I’ve been thinking about doing the packs instead. Easier to store, less mess, probably tastes better ( but also less healthy too unfortunately). When I try those out I’ll update this review with those results. I’m thinking about trying out several different kinds to see what I like best. 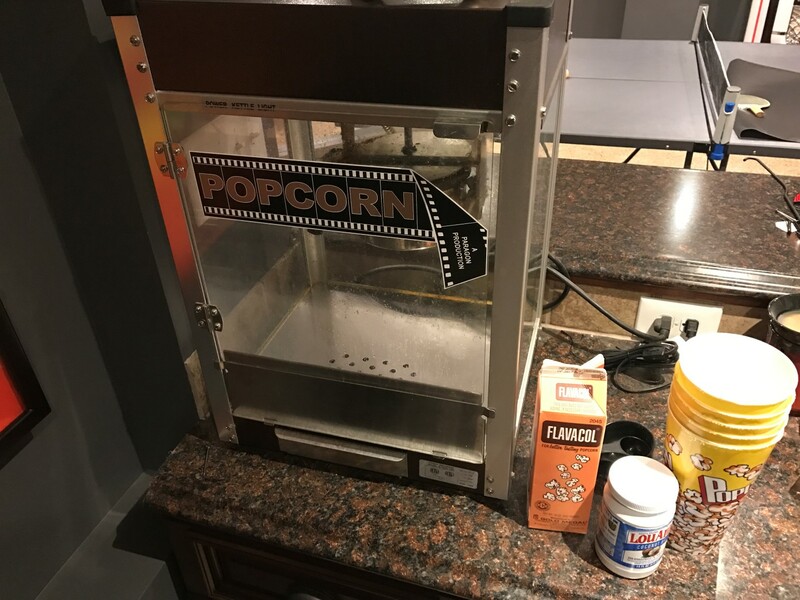 If you’ve got the space and plan on using it long term, it’s hard to go wrong with the Paragon Cineplex Popcorn Machine. It’s reliable, makes great popcorn, is affordable, and looks great in your home. There really aren’t any major drawbacks to it other than the cleaning. Hopefully this review helps in your search. 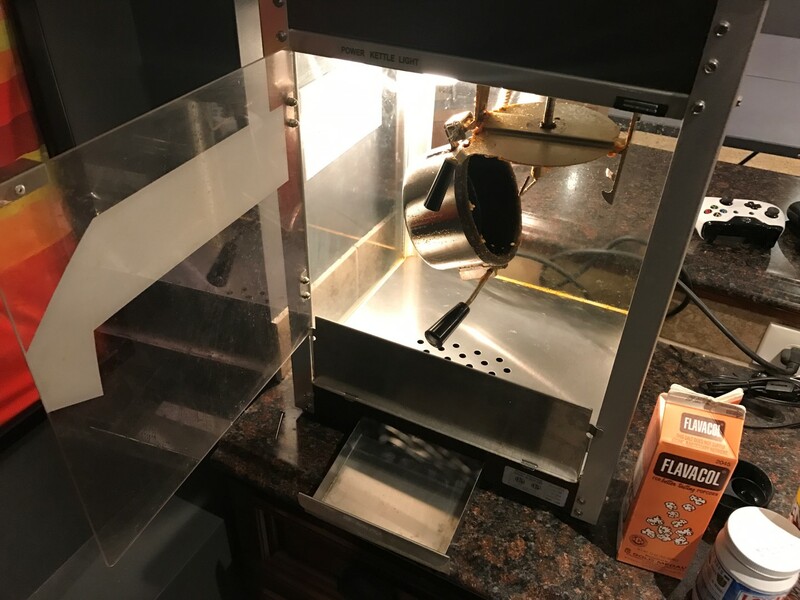 I’ve also put together a popcorn machine guide based upon my experiences.